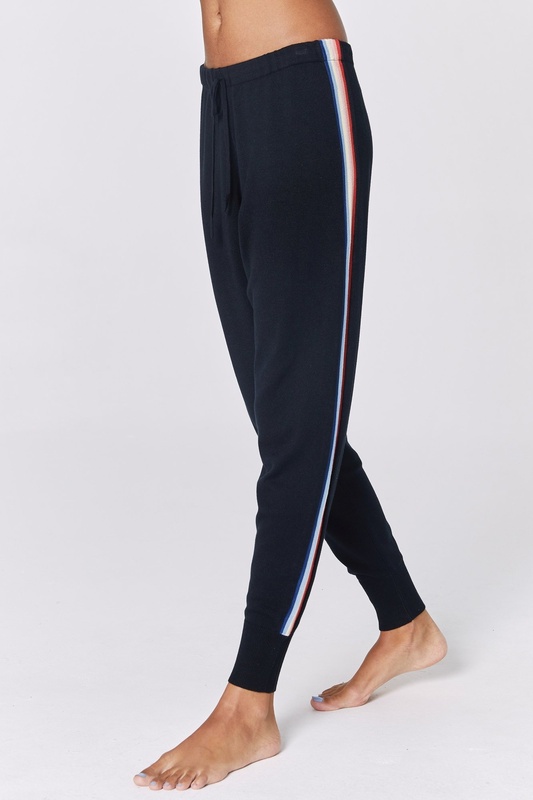 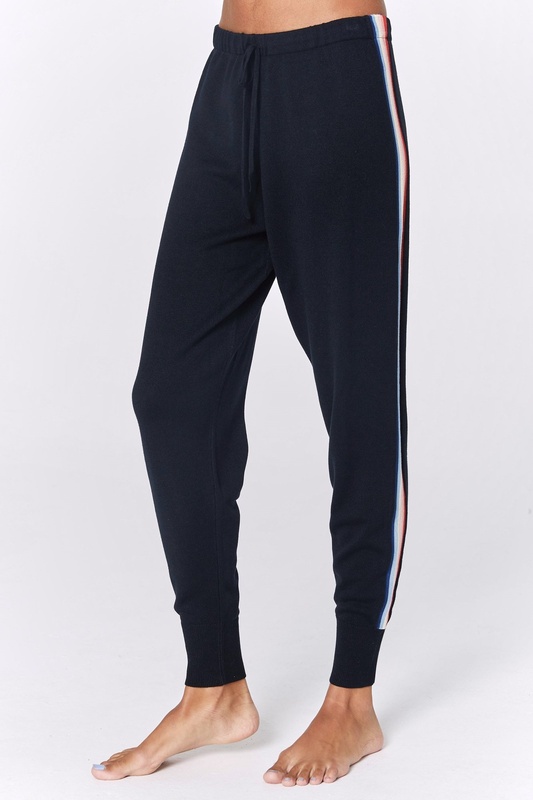 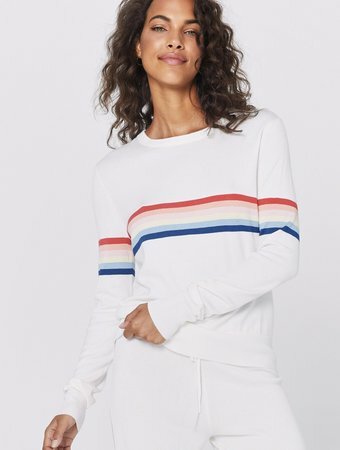 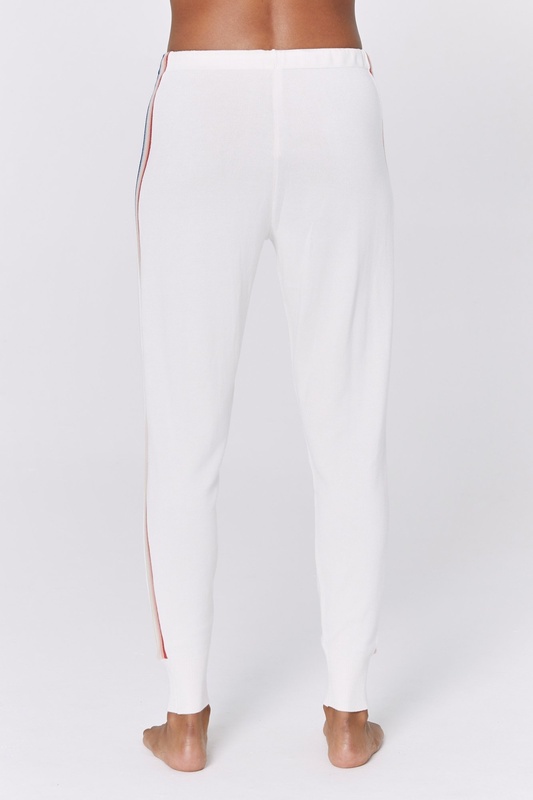 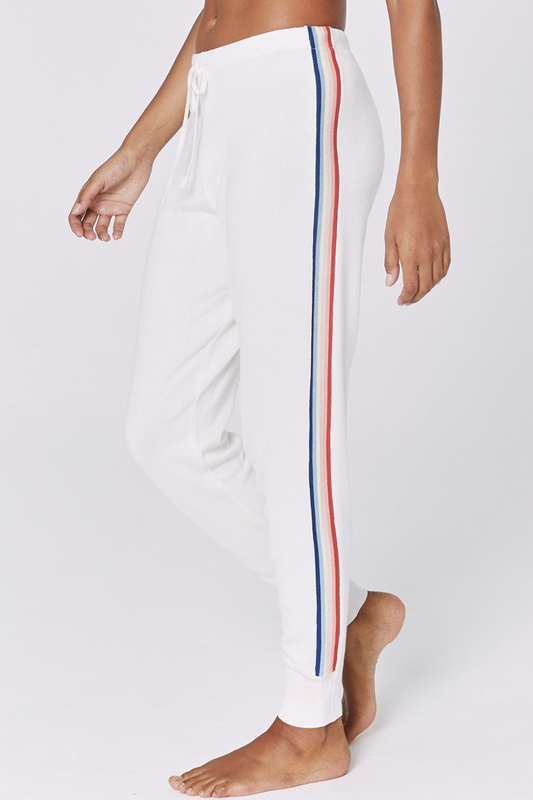 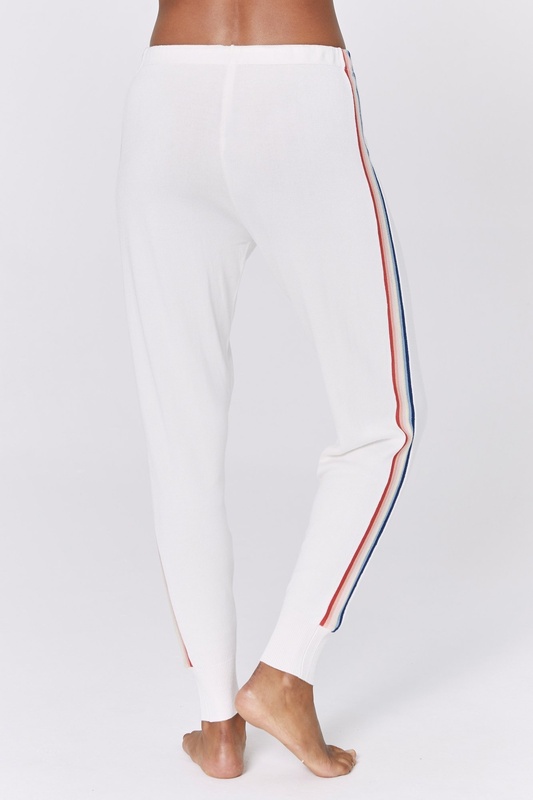 The Stripe Knit Jogger features rainbow side stripes, a drawcord waistband and cuffed ankles. 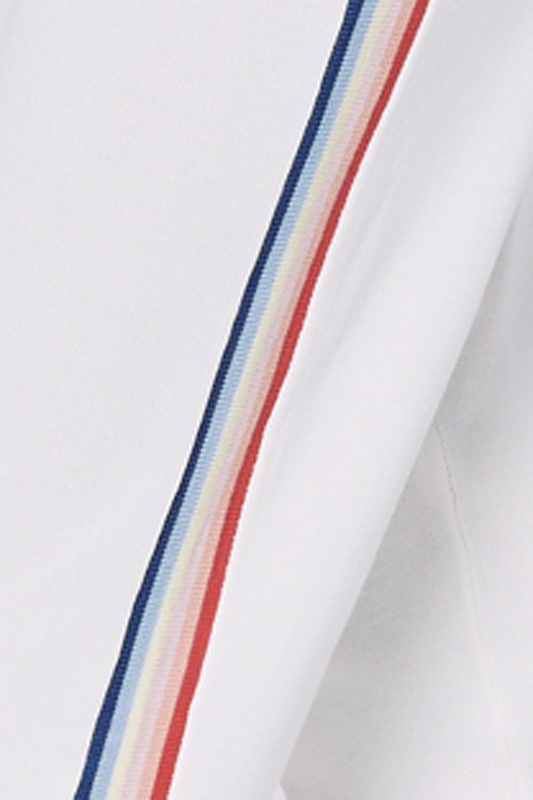 Made with love in Los Angeles from our favorite cotton/ poly/ rayon tri-blend. 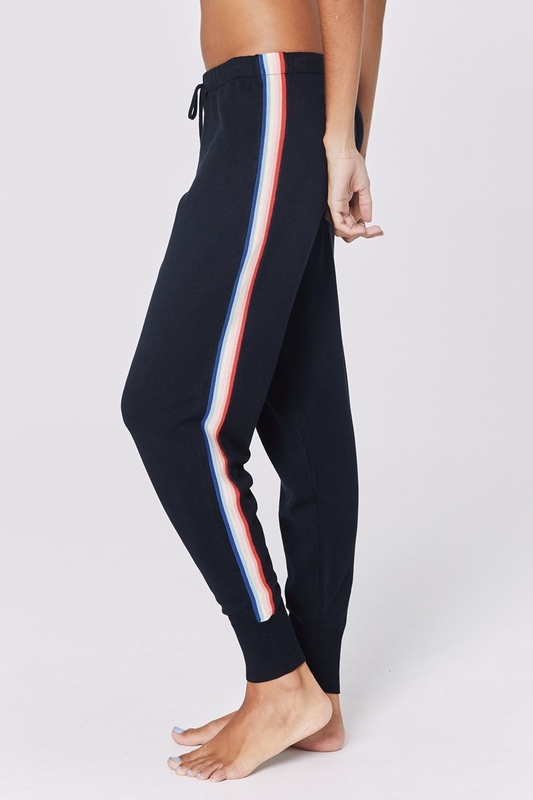 Available in Black or Stone.